UPDATED: The changes to the National Construction Code will come into force in May and Kingspan Insulation is getting in early with the necessary adjustments. In preparation for the NCC changes in May, Kingspan Insulation is retiring what it claims is its bestselling product. The Kooltherm K10 FM Soffit Board rigid insulation product – a group 1 surface lining material under the NCC – will no longer be compliant to the code after the cut-off date, according to the building materials company. This is because from May, to align with the new standard (AS 5637) and gain a group number at all (which determines a product’s fire hazard properties and stipulates what buildings and applications it can be used for) soffit materials need to be installed on both walls and ceiling during the full-scale room fire test ISO 9705. Previously, soffit materials were fire tested according to how they would be used – either on the ceiling or the wall. 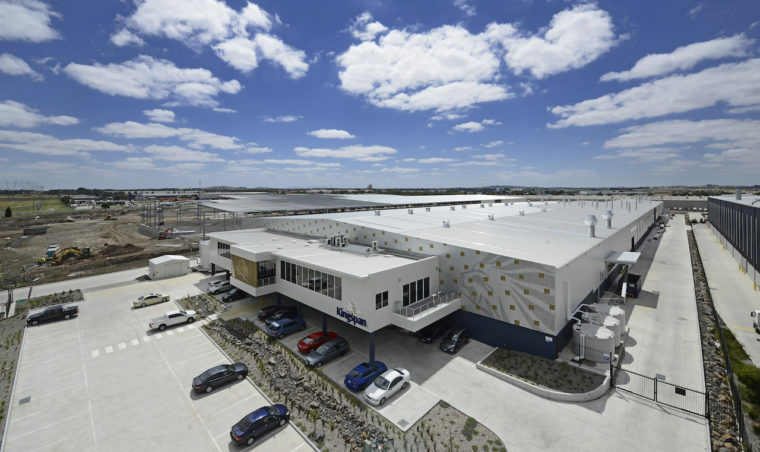 Kingspan Insulation Australia marketing manager Neil Cox told The Fifth Estate that this is a significant change because the materials now must withstand higher temperatures during the test because it is closer to the heat source. The discontinued product acquired its group 1 certification under the previous AS ISO 9705 methods, with materials lining the ceiling only. Mr Cox said that in the current environment, the company supports any changes to regulation that will strengthen the regulation of non-compliant products. His comments follow a spate of building defects and compliance issues in Australia, including the cladding on the façade of Melbourne’s Neo200 Tower catching fire. The company appears to be taking the NCC changes in its stride and is rolling out a new product that is compliant to the standard introduced in 2016, AS 5637, and holds a Group 2 fire rating. “Kingspan Insulation have been preparing for this transition for some time. We are confident in our ability to supply a product that will not only adhere to the new NCC standard but will also provide the same great thermal performance that our customers have come to expect from us,” Kingspan Insulation sales director Craig Burr said. The new foil faced rigid board insulation has already undergone the ISO 9705 test to achieve a group 2 rating. It also features a thicker foil lining. This group number rating means the product can be used in most buildings except fire isolated exits, fire control rooms, sprinklered public corridors in either class 3 buildings or in class 9b buildings (other than schools). They may well get there before the deadline, he added. Anyone else confused as to why this is news? As the article states, AS 5637 was introduced and called up way back in 2016 (NCC -Spec C1.10 4(b)) when Obama was still in the White House. How is rolling out a new product in 2019 “taking the NCC changes in its stride ?” The normative requirement of ISO 9705 has always been a wall and ceiling test. No change here. Dow Thermax has had an ISO 9705 full room, wall and ceiling Group 2 test result since 2012. Anyone remember when Julia Gillard was our PM and London was hosting the Olympics? Many other PIR soffit insulation products took AS 5637 in their stride and completed full wall and ceiling ISO 9705 tests prior to the introduction in 2016. Why wait till now? Still confused? This is a big change and if you would like to get more information, please contact our technical team who will be happy to discuss any queries you may have. We have been big specifiers of K10FM, it provides fantastic thermal performance – nearly had apoplexy when it said “taking off the market” – but am hopeful the new improved Group 2 product will be at the same price point? May I ask to clarify questions I have been asked by my customers around AS/ISO9705 and AS5637. The 9705 test has always been a wall and ceiling test, the ceiling only test could never provide a group number, until codemark made it industry practice. The Appendix being quoted is only informative and never formed part of the standard. Why was this valid? Like other suppliers have clearly stated, please confirm if the walls were lined with a non-combustible plasterboard as stated by CSR/Xtratherm for full disclosure in their marketing material. Manufacturers lobby group like Insulation Australasia named and shamed imported products for poor test certificates (http://www.insulationaustralasia.org/wp-content/uploads/2013/05/Choice-Proactive-ISO-9705.pdf). For example, was the product made in Australia or the UK or China? Having sold many PIR and phenolic products, history should not be rewritten by this article, DOW Thermax was the first product to have a wall and ceiling test that was Group 2 since about 2010, when the change from AS3837 to AS9705 occurred. One company changed the rules to accept ceiling only testing, leading us backwards. I encourage a release of tests to show how the Group 2 was achieved after many years of claiming Group 1, my customers have said, why hide if you used plasterboard to protect the wall lining. It would be like using sandpaper on a cricket ball, just not in the spirit of the game. We thought a supplier withdrawing its most popular product from the market because of new building code requirements was of genuine news value. We asked several people were there more on the way. Happy to hear. This is a business and industry impacting event that needs reporting. Thanks for the technical questions; over to the readers for that one!